I found a nice article on Lifehacker today that explains how telemarketing works and provides the best way to get rid of them. I really dislike getting phone calls trying to sell me something I do not need or want. They waste my time and deprive me of much needed down time after a long day at work. I agree with virtually everything in the article except the part about not showing them any human kindness. These people are getting yelled at, hung up on and otherwise ignored all day long. 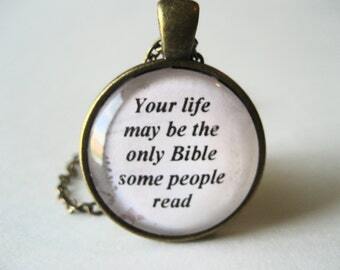 This situation reminds me of a quote I heard saying that basically I might be the only Bible somebody gets to read. If I'm ignoring or hanging up on one of these people, I'm not exactly being true to my own values. What I recommend is politely ending the call. You treat the telemarketer with the utmost respect, even asking them something like how is their day going and then firmly state your need to hang up and make sure they understand you do not need them to call back later. The risk is that they put notes in your file that might lead to more calls but if you have the energy to spare, spending a few extra seconds being hospitable before you terminate the call might make all the difference to somebody suffering in one of those telemarketing "boiler rooms" where they make hundreds of calls a day. Well it's about time. That's all I can say. No more wimpy little 3 inch fizzles followed by 50 degree thaws. When I say I want winter I mean WINTER. Oh I wish I'd kept my big mouth shut. So yesterday we had to drop Liz off at MSU. As we left in the morning, there were about 5 inches on the ground. I know it was 5 inches because I pushed 5 inches with the snowblower before leaving for church. We went to hear our son as music minister at Divine Shepherd Lutheran in Ann Arbor. The music was great and so was the sermon. While Catholics were celebrating Epiphany, the Lutherans seem content to wait until Monday. I put the wise men out on our front porch nativity scene a day early. As we left church, the snow was intensifying. We ate at Big Boy watching huge fluffy flakes and soon left going north on 23 toward MSU. I don't remember seeing this much snow in at least a decade. We drove through the epicenter between Howell and Brighton where the snow would total 16 inches. When we got to MSU and dropped her off, we considered bringing her bike home, except I'd have to dig out a huge snow drift to put it in the shed when we got it home and she didn't want to deal with the 11 inches that were already on top of her bike by then. 1 Dozen eggs (pasteurized eggs are best, Davidson's "Safest Choise Eggs" available from Papa Joes). 1) Separate Egg Whites from Yolks. Store Egg Whites in refrigerator for later use. 2) Add sugar, vanilla extract, nutmeg to egg yolks, mixing thoroughly. Add Rum (optional) and mix thoroughly. Store in refrigerator for later use. IMPORTANT: If not using pastuerized eggs, you must use 80 proof or higher alchohol and leave Rum/Yolk mixture in fridge for at least 24 hours. 1) Whip Egg Whites with a hand or electric mixer using an aerating mixer whisk. Add some sugar to egg whites to taste. Whip until they "peak" when pulling out the whisk. Place whipped egg whites in large mixing bowl and set aside. 2) Whip Heavy Whipping Cream it is the consistency of cool whip, adding sugar to taste. Then add to egg whites in large mixing bowl. 3) Add egg yolk mixture to large mixing bowl and mix on slow setting with whisk or normal beaters. 4) Add Quart of Half and Half and mix on slow setting with whisk or normal beaters. 5) Add Nutmeg to taste and mix on slow setting with whisk or normal beaters. Yield: About 1.5 gallons of egg nog with (optional about 2.5% alchohol by volume).